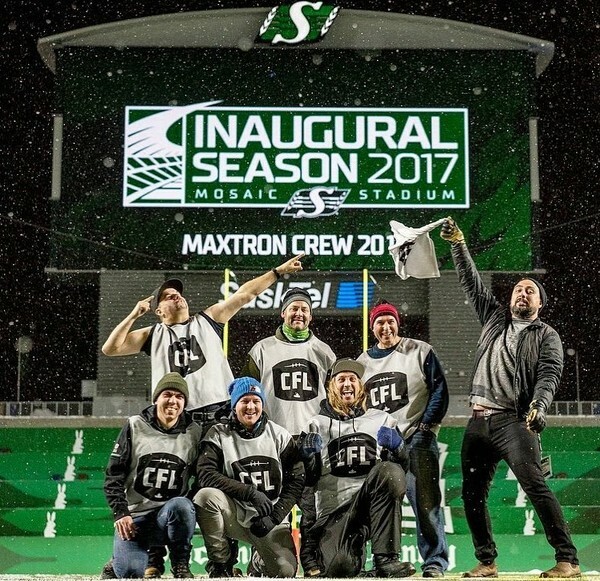 Caption: First ever photogs group photo from the new Mosaic Stadium in Regina, Saskatchewan after the Roughriders final home game of 2017. Back row (l to r): Troy Fleece (Regina Leader Post), Mark Taylor (CP), Brent Just (Getty), Matt Smith (Reuters). Front row (l to r): Derek Mortensen (Roughriders), Derek Elvin (Electric Umbrella), Liam Richards (Roughriders).